This mod is made by Ipsquiggle at Klei to show off various features of the mod API. This mod is not meant to be played. It is for scripting demonstration only. I'll keep this up-to-date as I add functions to the API so you have an example of how they are used. Updated for the Stuff of Nightmares release! Tonnes of new functions and examples to check out! That's right. This is the ROG version of the mini furniture you want. In this version of the MOD what is the use? 3: of course, you can do whatever you want. 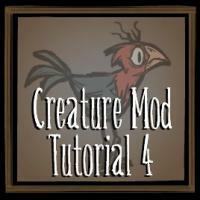 This tutorial shows you how to spawn a creature at the player's position! 1. Download and extract the mod to your mods folder. 2. Open and follow the instructions in 'readme_tutorial_2.txt'. Every time backup or restore, you must do the 1st and 2nd steps. For convenience, I create an application run in Windows that you can backup/recover easily with a by only one click. 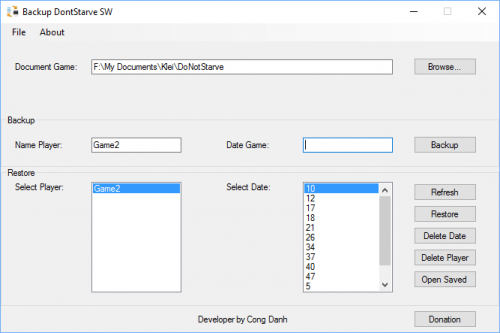 Name player: input name of player properties. Date Game: input date in game. Some when I will be adding new features based on suggestions and feedback, so if you have any then I want it! 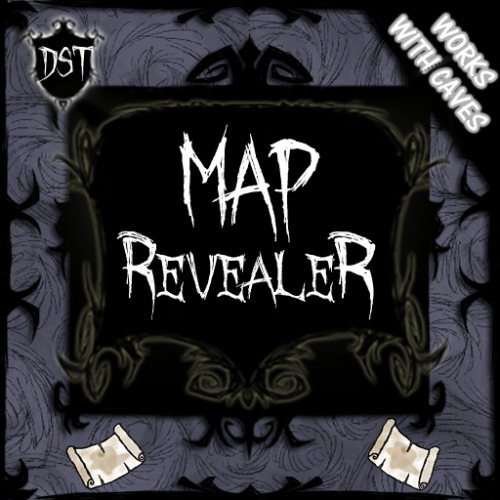 It's a very simple mod revealing the entire map in the game, regardless of the level at which we find ourselves. Despite the simplicity makes it easy modding or just makes the game lot easier. 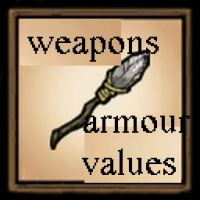 Show all the values releated with weapons, armour, tools. Back by my insistence, the Speech Modification Template! This file contains all you need to easily make speech file modifications on existing characters, or to make ones completely out of nothing for a custom character. Or even add or change quotes for Lucy or Pigmen! 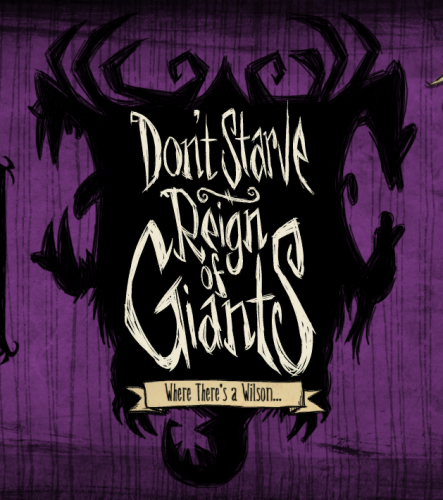 And now, it is fully updated both for the latest version of All's Well That's Maxwell, and the Reign of Giants "Feet of Strength" updates! I am merely continuing the work WrathOf started, but couldn't keep up with as he passed into inactivity. If he comes back one day and asks me to take this down, I will have to, i'm afraid. But until then, here you go. A nice little modder's tool. Download the proper file. If you're using the DLC, then you want version 1.6. Otherwise, stick with 1.5. Extract the zip file, then open the ExtraEnglish.lua file. Everything you need is there, all the generic describe quotes are alphabetized. Let me know if I missed anything important, or if there are some items missing from the template. 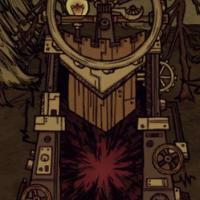 This mod adds a Development Tool - It have been crated by Klei, to help with testing Don't Starve and RoG DLC. File "devtool.lua" can be found in vanilla game, in prefabs folder. This mod adds a remade version of it, that makes it possible to use in-game, along with couple of features. This tutorial will show you how to make your character run through the world! 2. Open and follow the instructions in 'readme_tutorial_4.txt'. Feel almighty as you toggle the GUI at the push of a button. Configurable in-game to set your own shortcut. 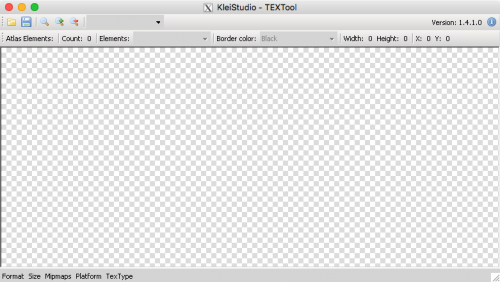 These are Mac versions of Handsome Matt's mod tools, TEXCreator and TEXTool. All I have done to them is wrap them in Wine and added icons. They work on my machine, and hopefully they will work on yours. The wrapping process unfortunately makes the files very large (~400mb unzipped), so I have compressed and split the files to be able to make them available here. If you would rather make wrappers yourself instead of download them, the process is very easy. 1. Download and open Wineskin Winery as well as Matt's tools (above). 2. Create a new blank wrapper using the latest engine (I used WS9Wine1.9.21). For simplicity's sake, you can only run one file per wrapper, so name it TEXCreator or TEXTool depending on what you're after. 3. When prompted, say YES to installing Mono (which emulates the Microsoft.NET framework necessary to run the programs, and is why the files are so large) and NO to installing Gecko. 4. When done, open the resulting wrapper. You should get a dialogue that has an "Install Software" button on it. (If you don't, option-click on the wrapper, select "Show Package Contents," and click on Wineskin.app. 5. In the next dialogue, click "Move a Folder Inside," browse to the folder containing Matt's tools, and select it. 6. When prompted, pick the appropriate EXE for the wrapper you are creating. 7. Close all Wine dialogue buttons, and try opening your app. If all is well, the programs should run and behave the same way they do on Windows. I know very little about Wine and if you have problems, I cannot help you resolve them. I hope you find these programs useful! This mod shows how to add a custom tile (ground) type to the game, to the map and minimap. The actual work is encapsulated in the file tile_adder.lua, which may just be plopped into your mod and modimport'ed. 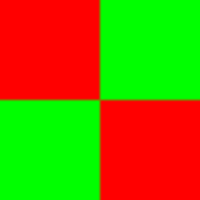 It exports the function AddTile(), whose usage is exemplified in modworldgenmain.lua (note, however, that the tile texture assets must be declared in modmain.lua). As an example, a new tile type GROUND.MODTEST is added. The mod will also spawn in the player's inventory an infinite turf item which places the new tile type (to make testing easier, it does not require digging up the original turf with a pitchfork). The numerical id passed as the second argument to AddTile (which becomes the value of GROUND.YOURNEWTILETYPE) must be unique, not conflicting with with game's own values (specified in vanilla's constants.lua) as well as with other mods. It must also be less than 128 (the value of GROUND.UNDERGROUND), otherwise the game assumes the new tile represents a wall type. The AddTile function checks the given numerical id for validity, raising an error if the check fails. With regard to intercompatibility between mods adding tiles, it is important to choose numerical ids not conflicting with the choice of other mods. Ideally the ids would be generated automatically and stored/restored as map savedata, but since mods run before any savedata is loaded this would add a number of pitfalls for the modder to be aware of, and generally increase the complexity of the code required for adding a new tile, so I kept the manual specification. The sample tile is added with an id of 80, while Up and Away uses consecutive ids starting from 64. 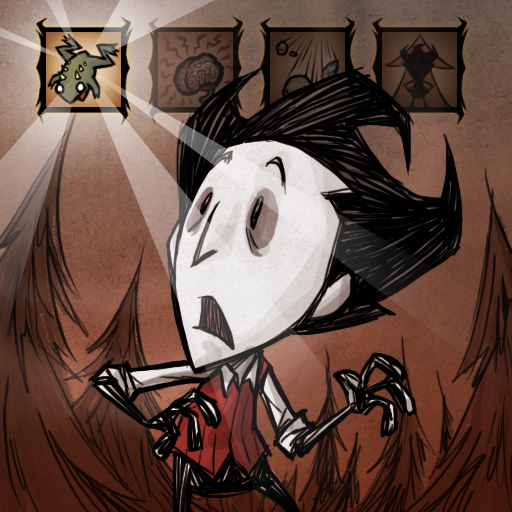 Including 15 Cursors inspired by my favourite Don't Starve Character! game is finally complete with this original handdrawn Cursor Pack! 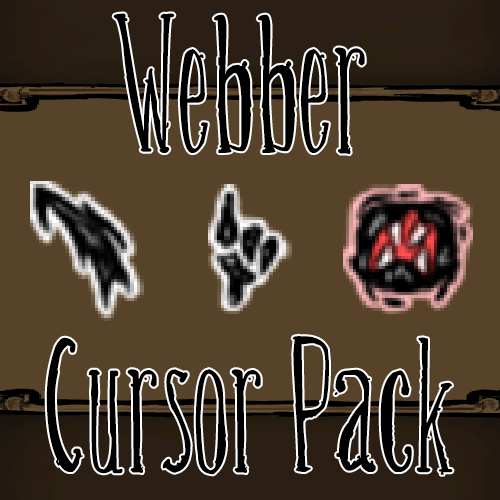 Also check out my other Cursor Packs! A module that can store, save, and load any arbitrary data. For developers only! Don't expect it to do anything interesting in-game. persistentdata.lua - The module. Put this in your mod's scripts folder. See the example for information on how to use it. Everything provided here is public domain. No warranties for anything. Blah blah blah. Use it however you want! Attribution would be appreciated, but is not required. This tutorial shows you how to have your creature spawn throughout the world! 2. Open and follow the instructions in 'readme_tutorial_8.txt'. This is a component for managing special mod music. Try to use it if you can. If you need a practical example, check out Soulful Alchemy. Don't mind the DirectorNode stuff, I was just too lazy to remove it. If you have any questions or concerns, tell me please! that will allow me to put your mod in a list of "mods helped"
This tutorial shows you how to import a new creature from Spriter! 2. Open and follow the instructions in 'readme_tutorial_3.txt'. This tutorial shows you how to create your very own mod! 2. Open and follow the instructions in 'readme_tutorial_1.txt'. First, I created it for myself, not for public. But I think I should share it, now. You need the newest browser version or atleast supported HTML5. Leave a comment. Let me know what you think about this. Or when you found a bug. Extrac and run "Don't Starve Calendar.htm" file with a web browser. 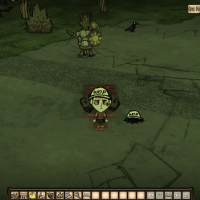 Thanks, Don't Starve and don't forget Werepigs. Ngôn ngữ: HTML, Javascipt, CSS. Ban đầu, Tôi chỉ tạo cho mình tôi, không sẻ chia. Nhưng giờ tôi nghĩ tôi nên chia sẻ nó. 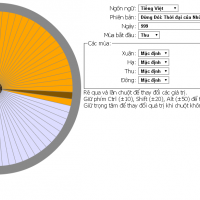 Bạn cần phiên bản mới nhất của trình duyệt hoặc ít nhất hỗ trợ HTML5. Hãy bình luận. Cho tôi biết bạn nghĩ gì về thứ này. Hoặc khi bạn gặp bọ (lỗi). 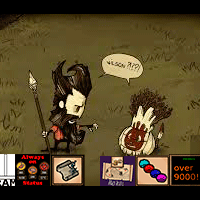 Giải nén và chạy tập tin "Don't Starve Calendar.htm" với trình duyệt. Cảm ơn, Đừng Đói và đừng quên Ma lợn (Werepigs). 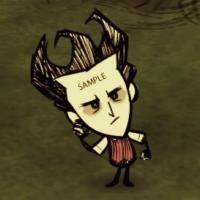 This is a template character for Don't Starve. Instructions on how to use this template can be found here.